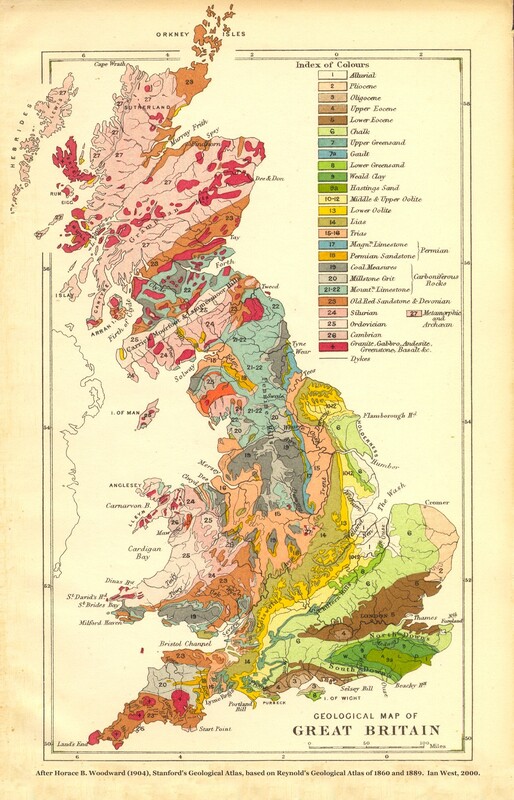 These kinds of highly colorful 19th century geological maps are, I think, widely recognized as some of the most beautiful maps ever made. Come to think of it, they actually look a lot like ethnographic maps, but you can enjoy them without thinking about ethnic cleansing. Americans may be familiar with Harold Fiske's amazing 1944 map of the history of the Mississippi river, but needless to say you can find these maps for every country you want. Here's a nice one of Britain. Anyways, the image above is excerpted from a huge geological map of Europe. Click here for the whole thing. 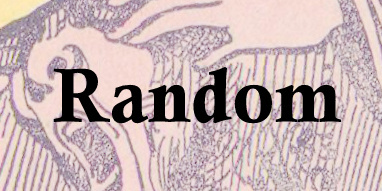 Lest it seem as if, faced with the pressures of the fall semester, we have completely abandoned any serious political or historical analysis in favor of just publishing nice-looking maps, a quick story about the politics of geology in the map at left. I first came across this while compiling a series of maps illustrating the wide range of Turkish cartographic claims to Cyprus in the 60s and 70s. This one, needless to say, makes Cyprus appear a natural geologic extension of Turkey, with the island's two main mountain ranges being the continuation of the ranges that traverse Hatay. 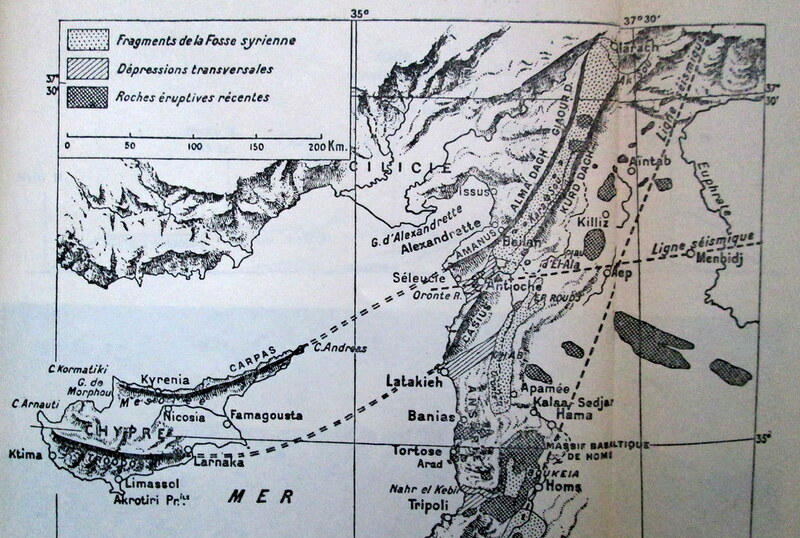 Needless to say, though, it turns out the maps published in the late 30s were all dedicated to showing that the mountain ranges of Hatay were natural extensions of the Taurus mountains, and therefore that Hatay was, geologically speaking, a natural part of Anatolia. 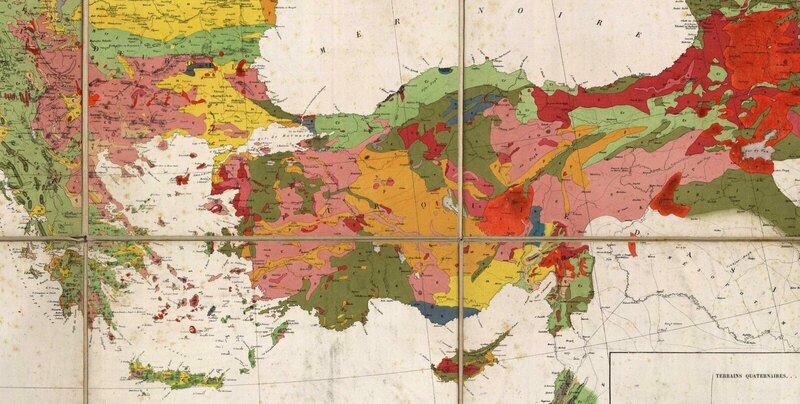 Ultimately among the many arguments advanced by nationalists for claiming particular territories over the years, geology has seldom been a prominent one. 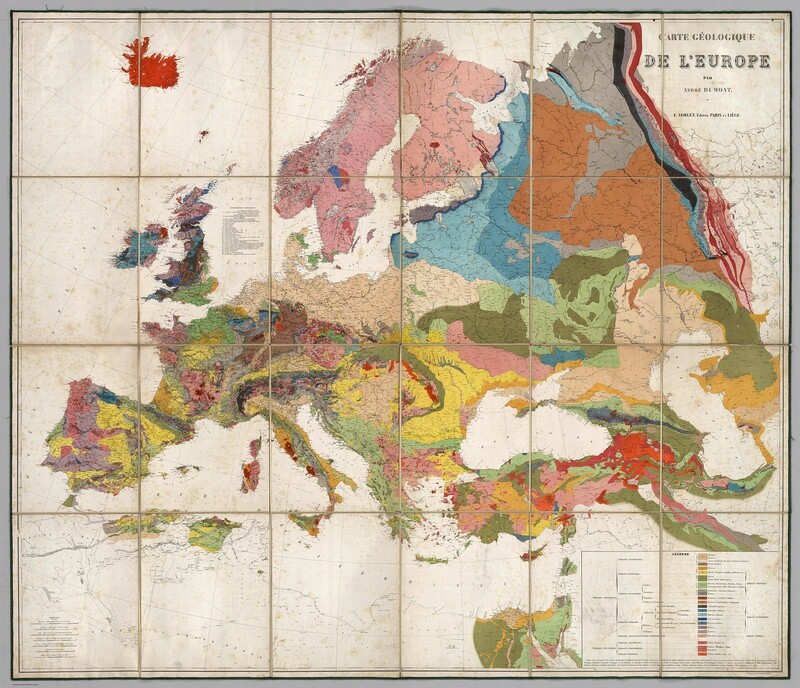 But, looking at these maps, its hard not to imagine an alternative history in which geologic rather than ethnic nationalism became the foundation for modern European states. Iceland, it appears, would emerge as the one pure Litho-state, built on a solid foundation of Trachyte and Basalt. A greater Scandinavia would also emerge, united by its common granite identity, after suppressing or assimilating minority regions of Devonian-era rock. England, in turn, would be the Balkans of this alternative world order, hopelessly divided between rival clans tracing their origins back to obscure fault-lines in the Eocene, Pliocene, and even Ordovician.